Allen Lissauer founded Financial Sanity Now so that he could offer his knowledge and expertise to those experiencing similar financial challenges. There is a very personal story behind why Allen has chosen to work with people facing financial challenges. Before his life changed, he was on a pathway that had many elements of the Great American Dream in his ventures within the business world. 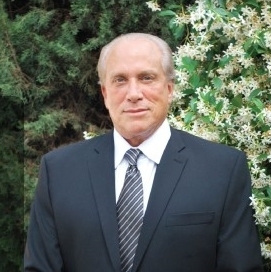 Allen Lissauer’s own business background was grounded in his education. He holds a B.A. from Hofstra University, New York, where he focused his studies in history and political science. His M.B.A. is from New York University, with a focus on Business Law and Management, where he delved deep into statistical analysis and economics. Not content to limit his knowledge to just the study of business, Allen knows first hand both the corporate world and entrepreneurial ventures. Allen’s corporate and financial world experience, and his negotiating chips, began with his earlier role as an IBM Business Consultant, with Wall Street as his territory. Consulting with companies like American Express, Bear Stearns, and US Steel, on matters ranging from computing needs and planning, to arbitrage and trading, gave him a unique window into the thinking of banks and trading houses. 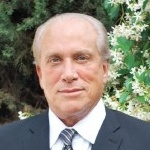 Allen let his entrepreneurial spirit loose in Hawaii and the South Pacific region by starting and growing the Alana Distribution and Electro Games Corporation. In addition to managing 90+ employees, his was the first retail operation of its kind in Hawaii. His slogan — and his business – was a hit: “Try it. Rent it. 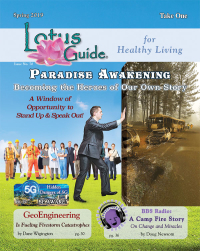 Buy it.” He learned what it really means to create “vertical integration” in his own business. He took his pioneering spirit to Los Angeles where he developed the concept of combining Hollywood and Video Games, creating and producing his own TV show “Electro Games Review”, which ran on the SCI Fi Channel. As anyone in the world of media and TV knows, bringing an idea to fruition and getting it on the air is full of hard work and quite an accomplishment. Allen Lissauer’s life changed dramatically in 2006 when he was crossing the street near his home. A driver on his cell phone ran Allen down. The driver had no insurance. Allen Lissauer works with people from many walks of life, business owners to homeowners and beyond, who all have one thing in common with each other and with him: A need to put their financial affairs on a strong footing for a secure future. After Allen Lissauer’s full recovery, he dived in with renewed dedication and commitment, using his own life’s story and his business skills to work. Since 2008, Allen has helped people stay in their home, avoiding financial, emotional and often spiritual disaster. Allen’s devotion, analytical skills and the best software tools available allow him to analyze exactly how the banks calculate eligibility. This way he is able to negotiate effectively for his clients. Allen Lissauer’s journey from entrepreneur, to becoming the founder of FinancialSanityNow.com, isn’t that of the road not taken, but of many roads coming together. 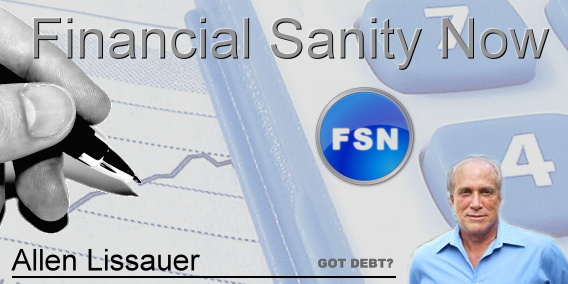 Allen Lissauer founded Financial Sanity Now to expand his service to people seeking better control of their financial lives. Dedicated to working with his private clients, he has a passion to offer the knowledge and perspective he has acquired through long experience to an even wider community. There is a very personal story behind why Allen has chosen to work with people facing financial challenges. Before his life changed, he was on a pathway that had many elements of the Great American Dream in his ventures within the business world.